Habitat: Sandy beaches of fine volcanic rubble. 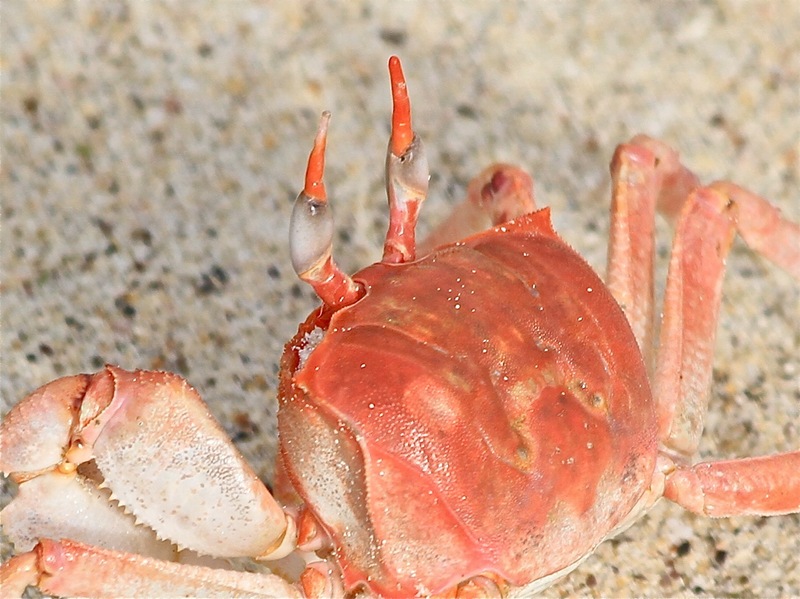 The Ghost Crab tunnels down four feet into the ground at a 45 degree angle, creating 1-2 inch wide holes, which speckle the beach. 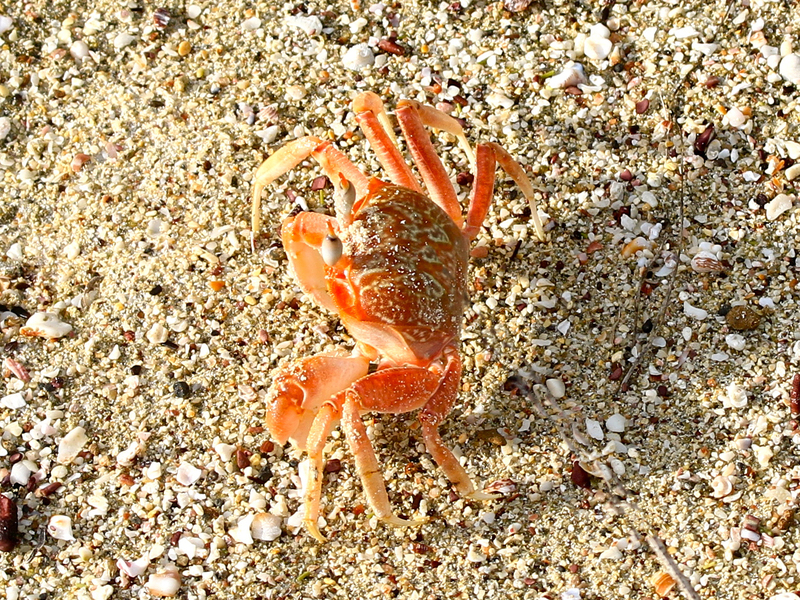 At dusk, these crabs will sprint to the ocean in order to obtain oxygen from the water which washes over their gills. Appearance: Pale cream colored and elegant looking. The most distinctive feature of this ultra-fast little crustacean are his eyes which are at the end of a long retractable stalk. Diet: Dead animals and debris they are also predators. If they can subdue it, they will eat it—including hatching sea turtles.